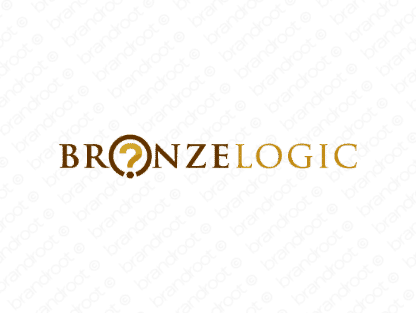 Brand bronzelogic is for sale on Brandroot.com! A bold and powerful name combining "bronze" and "logic" that conveys resilience and strength. Bronzelogic has a keen focus on information and intelligence that's ideal for knowledge driven businesses, ideal for data and analysis services or educational resources. You will have full ownership and rights to Bronzelogic.com. One of our professional Brandroot representatives will contact you and walk you through the entire transfer process.